“WE Don’t have any ‘WISCONSIN’. 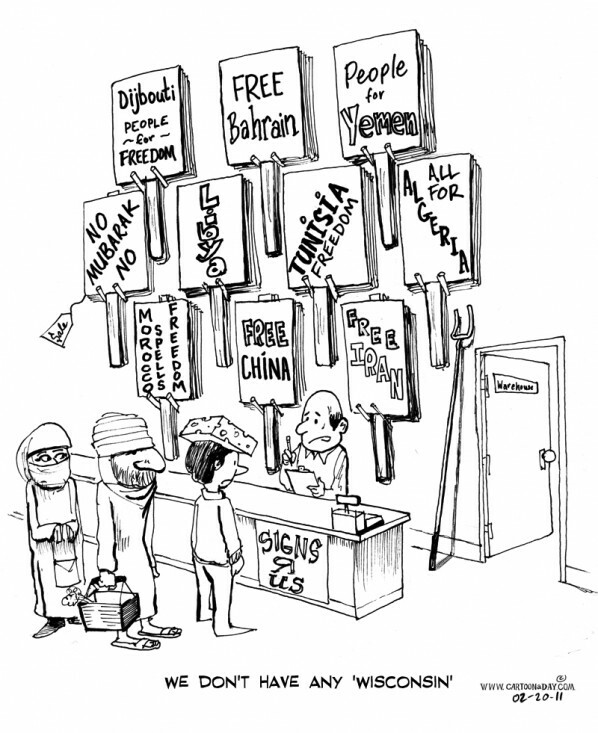 As many predicted, a rash of protests have broken out all over the world, largely due to the success in Egypt and ousting President Hosni Mubarak. People everywhere are hoping for a similar measure of success. 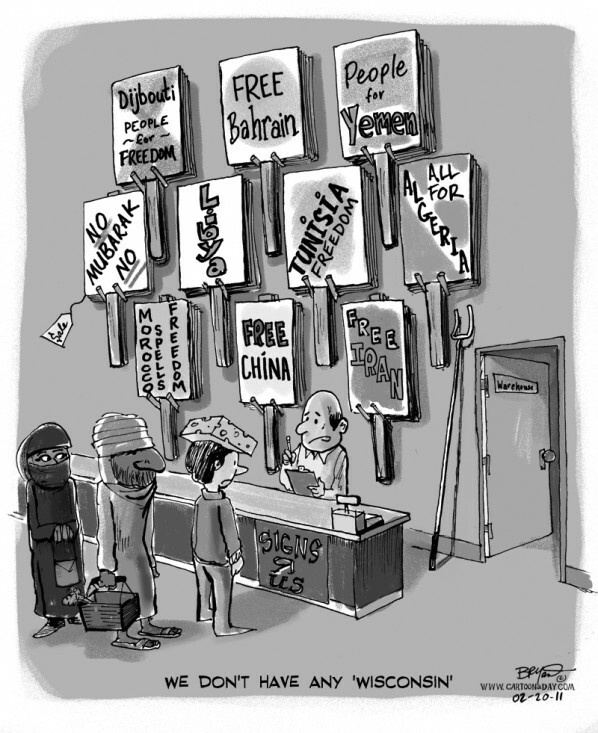 Among the countries protesting, there are Djibouti, Bahrain, Yemen, Libya, Tunisia, Algeria, Morocco, China, Egypt, Iran, and even Wisconsin U.S.A.
Inspiration: Funny cartoon of a Protest Sign shop, merchandising political protest signs for sale. A Wisconsin Cheesehead stands in line.